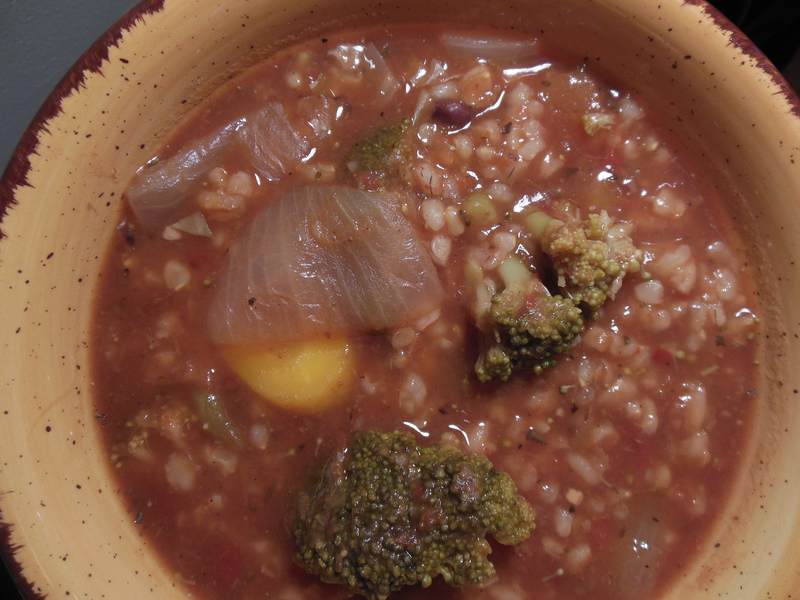 The short-brown rice give this soup a wonderful creamy texture. In a large soup pot or sauce pan, add all of the above ingredients. Bring mixture to a boil and let simmer for about 25 to 30 minutes as the soup blends into a hearty creamy mixture. *Since the children are grown, and I currently am living the single life, I often can’t consume all of the food I buy fast enough before it might spoil. But I never let anything go to waste since I have a wonderful chest freezer (as well as the freezer above my fridge). Honestly, I have yet to find anything that doesn’t freeze well, and especially if it’s something that can be tossed later into a soup! You can’t beat the convenience and saving money. And of course, my soup recipes are always made for 6 to 8 servings because making large soups are really the way to go for efficiency sake. Tucking away portions in the freezer for later use that you can pop into a saucepan or into the microwave is hands-down the best way to go, for any size household! **At Costco, they offer a wonderful Organic Normandy Vegetable mixture of broccoli, cauliflower and orange baby carrots and sliced yellow carrots. It’s a great buy and you can pull from the 5.5 lb package whatever vegetable you want to use. ***I use Lundberg Organic Short-Grain Brown Rice from Costco. This is a wonderful short-grain brown rice. It’s by far the best I’ve ever used, eaten! It is especially suitable in recipes where a creamy texture is desired like this soup!